Both Z and I have traveled with a lot of people that absolutely must drive from point A to point B in one shot. Sure, you can drive 16 hours only stopping for food, fuel and bladder relief but there really isn’t anything enjoyable about that. Our goal is to enjoy the trip as much as the destination so we drive up to about 500 miles a day. Since we know we don’t have to burn straight through we now have time for fun stuff. It’s really hard to break the desire to burn straight through to your destination but it’s really amazing how many awesome things there are to see and do just minutes off of our interstate highways and it’s our goal to check a few things out on our road trips. I mean, it’s not really a road trip if you just drive like robots rotated out for maintenance on an assembly line. After driving for a couple hours we will swing by a rest area, state park or recreation area to kick a soccer ball around or throw a football. This is also a good time to use the restroom, let the dog run and break in to the cooler for refreshments. If we’re hungry we’ll pull out some charcoal and fire up a BBQ to grill some hamburgers or cheese dogs. Almost all of the rest areas we’ve stopped at accommodate all of these activities and they charge nothing for using them. State Parks, National Parks and some recreation areas charge a small fee for use but the expense is trivial. 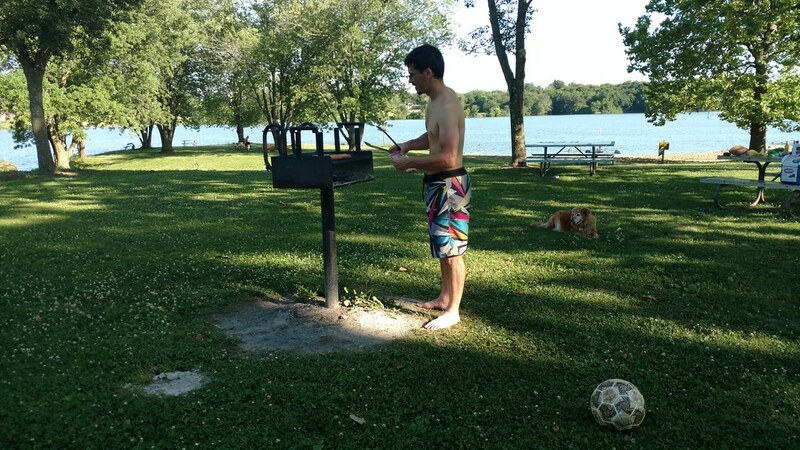 I much prefer grilling some food for lunch at a rest area or a state park where our dog can join us, we can get some exercise and perhaps equally importantly we can control the quality of the food we are consuming. We don’t ever wait until our bodies are complaining loudly to stop and get out of the car. If I see a rest area coming up I’ll ask Z if she wants to kick a soccer ball around or use the restroom. If we’ve been driving for more than an hour, odds are we’ll stop even if just for a short while. Keeda (our dog) always appreciates a quick stop and never complains about rolling around in the grass while we make lunch or dinner on the grill. It’s a much better option than sitting in the car while we eat at a restaurant. As I mentioned earlier there is a whole lot of things to see just minutes off of our interstate highway system. We find it fun to know of a few things we’d like to see or do on our road trip. 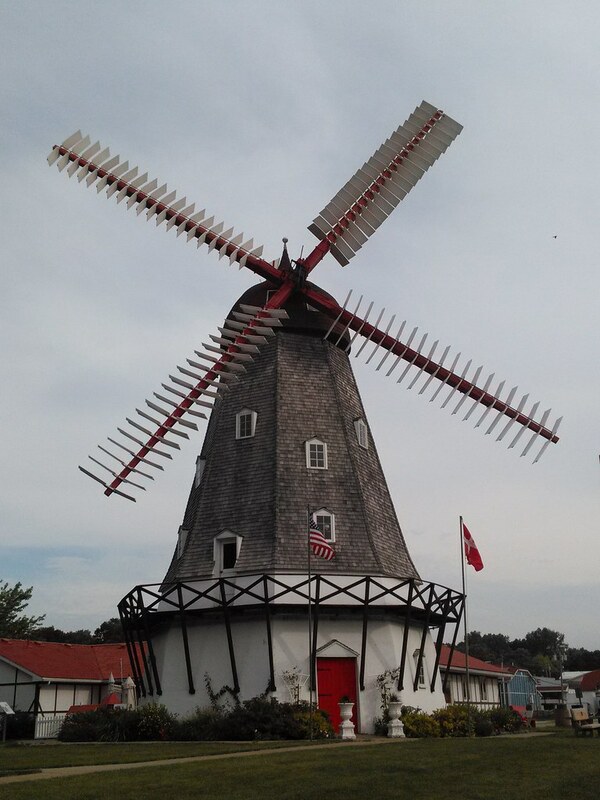 We don’t really require visiting any one specific place but if the time and place matches up nicely we’ll appease our curiosity and go check a place out. Knowing what is along our route also makes travel more comfortable. We recognize places and have talking points as we become more familiar with this great country. You can do some research before your road trip to identify a couple places you’d like to see en-route but there still isn’t really a Google-esk way of knowing what all is out there until you’re actually on your road trip so when you’re out there driving, pay attention to the signs and search google maps for topics you like while you’re driving and you’ll start building a great understanding of what your options are. Whoever’s passenger when we are driving looks up and reads aloud about all the stuff the driver mentions. As I sit here at a picnic table next to a crackling fire on our camp site in Lake Anita State Park I can’t think of a more beautiful way to spend the evening. Since we travel with our dog and love the outdoors, camping is a solid win. Here at Lake Anita State Park they offer free private shower facilities and charge $11/night for a basic camping site. 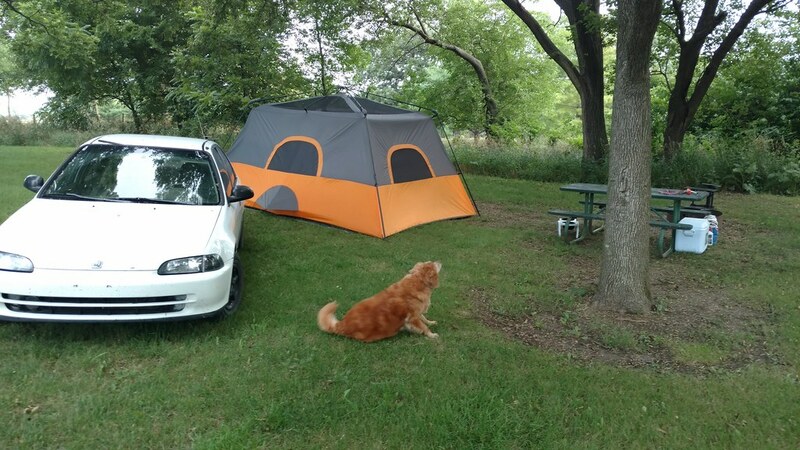 Camping is extremely cost effective, always dog friendly and is as comfortable as you make it. We tend to lean toward State and Federally managed camp grounds which aren’t always as easy to find as typing “camping” in to google maps but isn’t any more difficult then searching for State Parks along our proposed route and investigating their websites to make sure they have showers and any other amenities we might want depending on who we are with. Traveling is most enjoyable when you, your vehicle and your gear is clean and organized. Being disorganized or dirty just leads to being more disorganized and dirty and it never really feels good to travel when you want a shower or your floor board is littered with junk. Whether you camped at a campground without showers, laid your car seats back for the night or simply have been driving for 12 hours it always feels good to take a shower. Just swing by a truck stop, State Park or National Park that has showers and take a shower. Getting clean really feels good and can refresh your attitude during a long ride. Feeling good leads to feeling happy which is a top priority on road trips. Purge all the trash from your vehicle every time you stop. Keeping your transportation clean supports a much more comfortable road trip than being disorganized with trash everywhere. We put a bunch of grocery bags in the driver and passenger door when we are leaving on a road trip so we can go through a lot of small plastic trash bags throwing out our trash at every stop. This “free sharing” of intfmraoion seems too good to be true. Like communism.